We start off across the street from the Union Oyster House, one of Kennedy's favorite haunts, and run our way through the revolution, the Boston Common running by pirates and witches through Beacon Hill's cobbles stoned gas lit streets and more. The tour will cover ghosts of authors, presidents, pirates, murder's and the revolution. Yes, it's a light run covering 5k run, 3.1 miles, in 90 minutes with 13 spooky stops along the way. Expect run, or jog. Yes, as long as they can keep up with the running. We start at the New England Holocaust Memorial and weaving our way through old Boston, the Boston Common, Beacon Hill and Bay Village. We will stop at 13 locations. 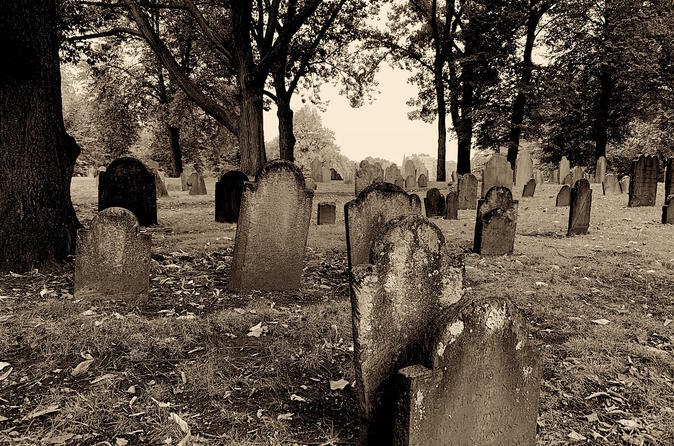 We will be covering Boston's haunted past along with stories of murder, pirates and witches. Also along the way we will learn about Boston's historical, and somewhat dark, past. The tour ends at the Boylston T station stop. Prepare yourself for a night of fun, exercise a few frights along the way. No meals or water are provided. Please feel free to carry water or drinks for the tour. The Tour will last for 90 minutes, give our take a few minutes, and will be 3.1 miles in length. Is it for joggers? Yes, we will be jogging and it's suitable for joggers of all levels.